I hope you are having a great week~I am in training for my new job, so I have been a little preoccupied this week, I am getting used to my new schedule and exercising my brain, a LOT!! 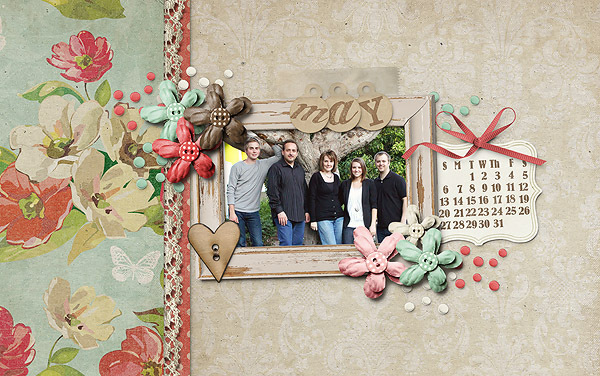 Each month I download the free desktop calendar from Shabby Miss Jen, I love her designs!! All you have to do is open up the calendar (and a photo) in a photo editing program (I use Photoshop) and then drag your photo under it. EASY PEASY! !